Anything and Everything American, Deep South Edition / Ya’ll Come!! 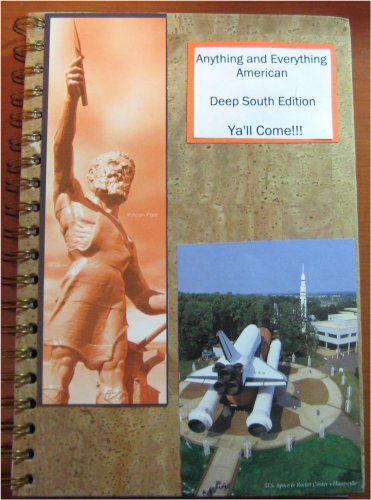 This is a journal for anything and everything American – Southern style!!!! This is one of a series of international journals. Feel free to create, draw or write anything that inspires you, in any medium you’d like. Please don’t alter the work of others. Whether it’s college football, grits or NASCAR, the south is where it’s at, so YA’LL COME!! When full, please return to Jenny Stafford, jfit. Anything and Everything American, Eastern Edition. Yankee Doodle Dandy! 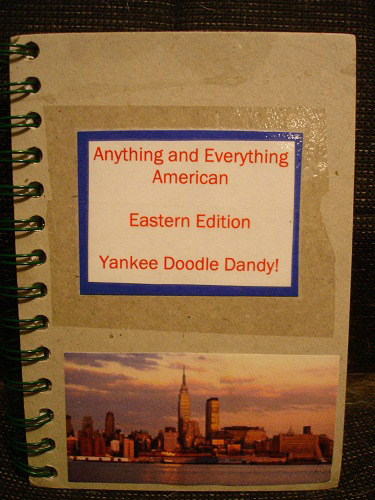 This is a journal for anything and everything American -Eastern style!!!! This is one of a series of international journals. Feel free to create, draw or write anything that inspires you, in any medium you’d like. Please don’t alter the work of others. Do feel free to add to the cover or the end pages!!! So much of our nation’s history – famous battle sites, national monuments and museums. But there’s also beautiful landscapes, mountains and beaches – something for everyone! 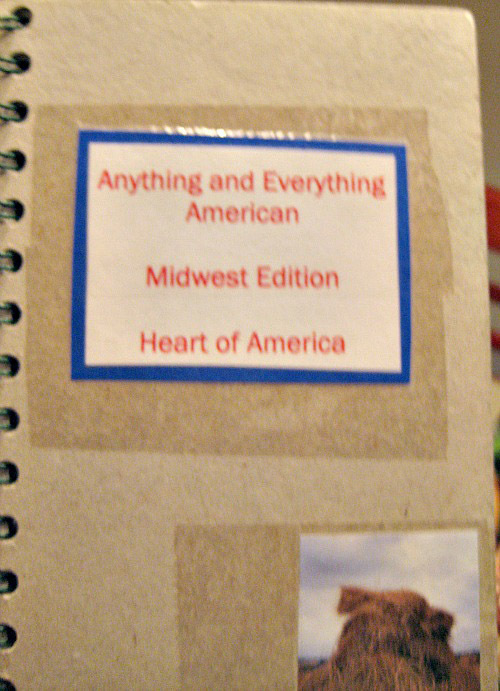 This is a journal for anything and everything American – Midwest style!!!! This is one of a series of international journals. Feel free to create, draw or write anything that inspires you, in any medium you’d like. Please don’t alter the work of others. Do feel free to add to the cover or the end pages!!! Farms, industrial areas and huge cities – you can find a little of everything in America’s Heartland!! Anything and Everything American, West Edition, Surf’s Up! This is a journal for anything and everything American – West style!!!! This is one of a series of international journals. Feel free to create, draw or write anything that inspires you, in any medium you’d like. Please don’t alter the work of others.. Do feel free to add to the cover or the end pages!!! Whether you enjoy the beautiful forests of Washington or the blue ocean waves of California, come in and enjoy the fun – Surf’s Up! Everyone has had strange experiences – whether you’ve seen a flying saucer, ghost or just had a creepy feeling. 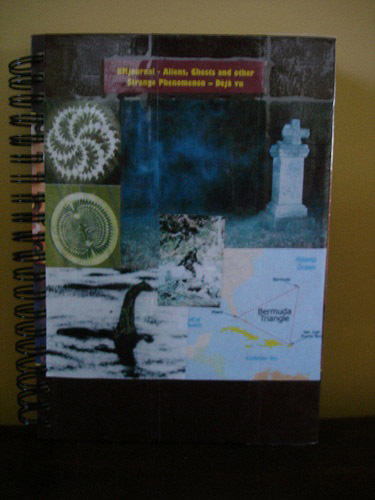 Share your stories, photos or interpretations here with us in this cool X Files journal I found (one of my favorite shows)! Any medium is fine – just don’t alter the work of others. You can, though, feel free to help decorate the first few calendar pages or last couple of note pages. Have fun with it!! When full, please return to jfit, Jenny Stafford! This journal has vanished into the ether…. 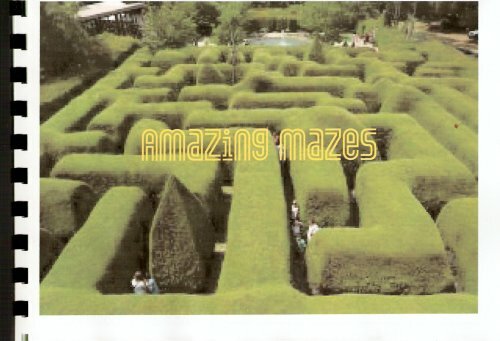 The populations of the United Kingdom and the United States seem to have a particular fascination with mazes. If they interest you, then this is the journal for you! Please make your entry and relist within two weeks, and be prepared to send it wherever requested promptly. I will mooch it back when it is complete @ tennantfamily:UK. Enjoy it, and make your entry where you wish, whether your interest is in their history, place in literature, as garden ornaments, or artistic devices bit respect the work of others. Some pages are coloured, some white to accommodate direct entries or those glued or pasted in. I do hope you enjoy this subject as much as I do! 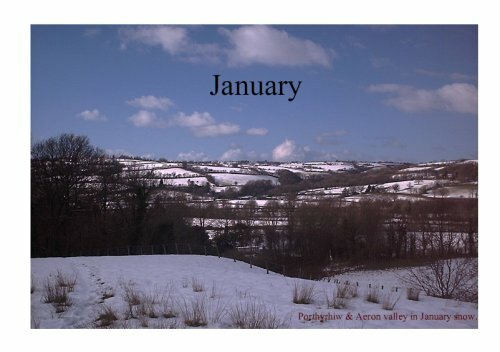 January – the blackest month in the year? BMJournal January is the first of a set of journals I am creating to celebrate the months of the year. These will be released month by month. They are for anything to do with the month: why you like or dislike it, what it means to you, poems, books, artwork, music, songs, photographs, stories:- whatever you are inspired to do. Put your entry wherever seems appropriate. A couple of my pages do invite you to add extra information you may have. This journal was amongst those retained by an inactive and unresponsive journaller. I am recreating it, January 2012. If the original resurfaces (listings starting with Nicole and ending with Velcrodog) please contact me. I can amalgamate the two editions. To see the slideshow click the blue underlined link in the description.